Don’t silence those who bleed! 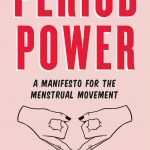 How much do we really know about the history of period products and menstruation? Here are some facts that are crucial to know. 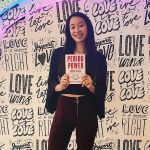 If you want to find out even more, read Period Power by Nadya Okamoto! We think that’s crucial too. 1. The start of menstruation on average can happen within tween to beginning of teen years. 2. On average, a menstruator will lose anywhere from five to twelve teaspoons of blood in one menstrual cycle. 3. 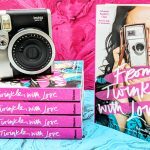 The word “taboo” and how it relates to menstruation. 4. The Huffington Post estimates that the “total cost of your period over your lifetime” comes to $18,171. 5. Unfortunately, just as little as fourteen states don’t tax period products. 6. Not all women menstruate and not all menstruators are women. 7. The average menstruator disposes lots and lots of wasted products. 8. It is estimated that a menstruator, if using only disposable tampons and pads, uses between 10,000 and 16,000 units in their lifetimes. 9. In 1985, Courtney Cox became the first person to actually say “period” on TV. 10. The Story of Menstruation, a movie produced in 1946 by Kimberly-Clark in partnership with Disney, had reportedly been shown to more than forty-seven million people by 1964, and more than 100 million as of 1984. 11. A DUDE created the tampon. Mind blown. 12. 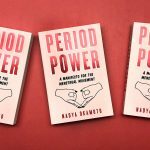 The easiest and most effective first step that you can take as a support of the Menstrual Movement is to just GET PEOPLE TALKING about menstruation and the need for menstrual equity.